Dimensions 1.19 by 6.38 by 9.38 in. 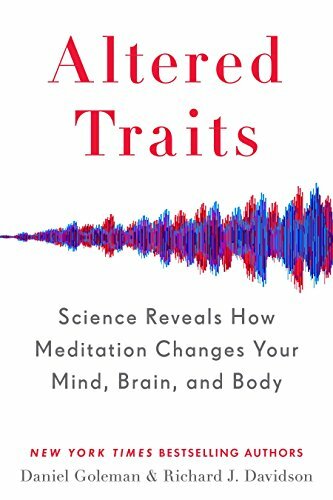 Amazon.com description: Product Description: Two New York Timesâbestselling authors unveil new research showing what meditation can really do for the brain. Sweeping away common misconceptions and neuromythology to open readersâ eyes to the ways data has been distorted to sell mind-training methods, the authors demonstrate that beyond the pleasant states mental exercises can produce, the real payoffs are the lasting personality traits that can result. But short daily doses will not get us to the highest level of lasting positive changeâeven if we continue for yearsâwithout specific additions. More than sheer hours, we need smart practice, including crucial ingredients such as targeted feedback from a master teacher and a more spacious, less attached view of the self, all of which are missing in widespread versions of mind training. The authors also reveal the latest data from Davidsonâs own lab that point to a new methodology for developing a broader array of mind-training methods with larger implications for how we can derive the greatest benefits from the practice.